1. In a wok, heat oil then add shredded ginger. Saute until aromatic and lightly brown. 2. Add chicken egg, lightly spread the egg, and stir until half cooked, quickly add ¼ cup water. 3. 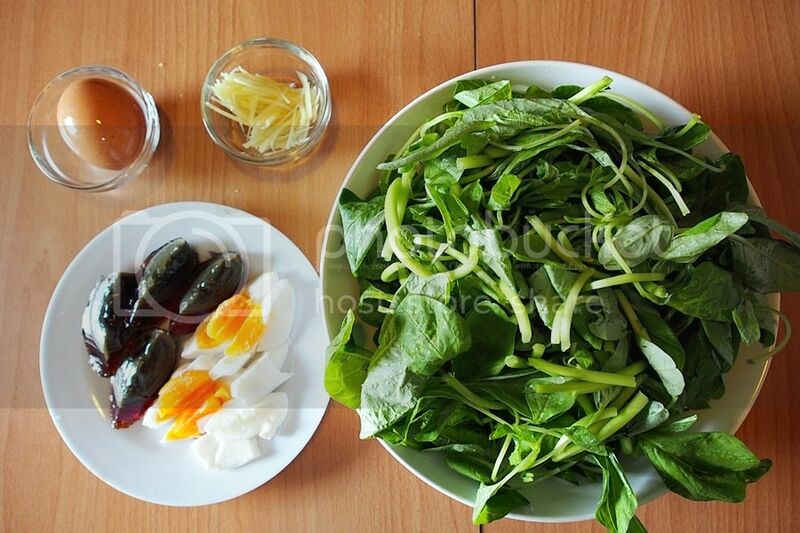 Add the Chinese Spinach, stir fry until the leave slightly wilted, add seasoning and also the salted egg and century egg. Boil for 30 second. Dish out.